Following on the heels of its eco-appealing neighbor to the south, Nicaragua is slowly emerging as “the next Costa Rica.” Once wrought with civil war—Nicaragua became a democracy in 1995—the country’s welcoming natives, 28 volcanoes, adventure activities, varied eco-systems, bountiful crafts, and Spanish colonial influence are now making it one great, and easily accessible, travel destination. Although November to April is dry season, peak tourist months are between December and March, when the sun shines but vegetation is not yet dried out and dusty. 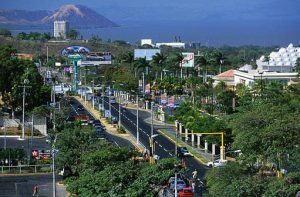 Upon your arrival to Managua, the country’s capital city, and with a beautiful eco-lodge on the southern Pacific coast as your destination, consider making stops along the way at both Masaya and Granada—at either the beginning or end of your travels. A half-hour drive from Managua will bring you to Masaya, home of the country’s most heavily-venting, active Masaya volcano. Here you’ll have the unusual opportunity to drive right up to the lip of the volcano (though they ask you to park with your front wheels facing out in case a quick, eruption-provoked exit is necessary), and if you visit in the afternoon, you may hear the singing of the crater’s thousands of parakeets who nest in the crater walls, apparently unbothered by the sulfurous gases. Masaya has long been a center of Nicaraguan art and culture. So be sure to shop at the Mercado Artesanías, a Spanish fortress-like structure built more than 100 years ago and now filled with Central America’s best and most colorful souvenirs—from woven hammocks and bags to leather and woodcrafts. The colonial city of Granada, famous for its architecture, is another thirty-minute drive southbound. Founded in 1524 by Francisco Fernandez de Cordoba, this impressive city is made up of charming adobes and elegantly-designed doorways awash in tropical colors. 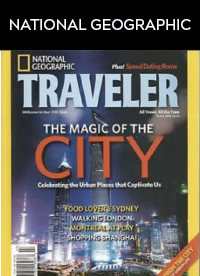 From the parque central, or central park, take a city tour in a horse-drawn carriage (they serve as taxis for both locals and tourists) for about $12 for up to 5 people. Behind some of those doorways and arranged around impressively-restored courtyards lies a surprisingly diverse restaurant scene. Take in a dinner of fire-grilled meat or fresh fish at El Zaguán, right behind the cathedral. And for a view of the city, be sure to climb the bell tower (it costs $1) of Iglesia del Merced, a beautiful church located four blocks from the central park. A two-hour drive south of Granada and you’ll arrive at nature’s doorstep in the guise of Morgan’s Rock Hacienda & Ecolodge, where howler monkeys greet you loudly and colorful Macaw parrots peer through the trees. After crossing a 350-foot canopy level suspension bridge, you’ll arrive at one of the lodge’s 15 bungalows, each constructed of tropical woods and complete with open-air showers, bug-protecting screens, and the soothing waves of the ocean just steps below. 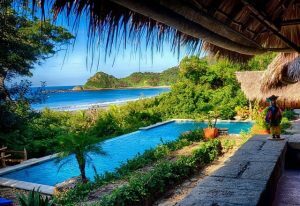 Hiking, horseback riding, surfing and kayaking are some of the on–site options, while visiting a local school, making breakfast at the property’s working farm, and zip-lining at the nearby surf town of San Juan del Sur are minutes away. Managua is served by nonstop flights via Miami on American Airlines and via Houston on Continental Airlines. For general information, www.nicaragua.com. The staff at Morgan’s Rock, www.morgansrock.com, can help you arrange car transfers and guides from Managua to the lodge and to other cities. Granada is a one-hour drive from Managua; for overnight stays, Hotel La Gran Francia; www.lagranfrancia.com and Casa San Francisco, www.casasanfrancisco.com are beautiful and centrally-located. Restaurant El Zaguán, 011-505-552-6451.